Microsoft Windows Phone 8 has introduced new features to smartphone device users. In this review, I'ld like to list and describe top new Windows Phone 8 features for smartphone owners like Nokia Lumia or HTC 8X. Let's talk about what is new in Windows Phone 8 ? First of all we can start with Office 365 and Microsoft Cloud services with SkyDrive. Then live tiles on Start screen and easy customization of the Start screeb to reflect your personality on your smartphone. After these Windows Phone 8 features that come to mind at first, the smartphone produces especially Nokia has new features shipped with Nokia Lumia series like the Here Maps aka Nokia Maps, Here Drive+ Beta aka Nokia Drive Beta, City Lens and Nokia Music. All these Windows Phone features are great apps for Nokia Lumia purchasers. If you want to get an official list of Windows Phone 8 features, you can also review the Windows Phone portal. Let's start with Office 365 and OneNote applications connected to SkyDrive to integrate your smartphone with your office and home PCs. This is one of the top Windows Phone 8 features for me that I love a lot to use. Integrate your apps with SkyDrive using your Microsoft account also known as Windows Live account. Synchronazing your app data among your phone and computers you work on (like your office workstation or home PC) is great sharing for being productive. Office apps (Office 365) enables you work with Microsoft Office programs (Word, Excel, PowerPoint and OneNote) on your phone while you're mobile. And the integration makes you continue working on the same file when you are at office. Being integrated and connected is always better than working with standalone apps. 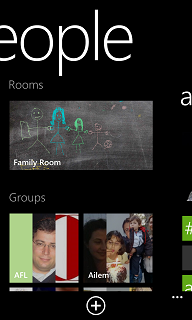 Another feature of Windows Phone 8 devices is the customizable Start screen decorated with live tiles. Microsoft enables developers to provide 3 types of tiles (cycle tile, flip tile and iconic tile) for their Windows Phone 8 apps. If you have a Windows Phone 8 smartphone, you can customize your start screen as you like. You can select a lock screen image to decorate your Windows Phone 8 screen. 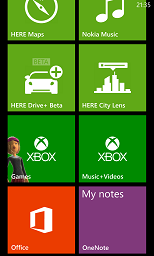 WP8 owners can also arrange the tiles on the Start screen. They can decide which app tiles will be displayed on the Start screen and in which size by pinning the app you want and playing with the pinned tile size. You can also arrange the places of the app tiles. This feature enables you to customize your phone as you like. And great to feel the phone is a part of you with the images and apps and colors at Start screen of your phone. This is really amazing. You can also pin contacts which enables you call your contacts or send message them easily. You can pin your love with his/her photo which enables you access him/her at once. It is possible to create rooms for a limited group of contacts that you will choose and invite to join. You can create a room on your phone for your family, for your colleagues, or for your school friends. To back up your data like photos, contact details, files, text messages is easy with Windows Phone 8. Backing up your data is a great new Windows Phone 8 feature. Wallet is also a new feature introduced with Windows Phone 8. Wallet enables users to use cards in digital environment. If you like playing, you will love playing XBox games on your Windows Phone 8 smartphone with your Live Id. Apps work in the background and this is energy consuming causing your Windows Phone 8 device's battery .... Decide on your installed apps which should be work in the background and disable others. The most important battery converving action to use your Windows Phone 8 longer is to turn off connectivity features when they are not needed like cellular data connection, wi-fi, bluetooth, tap and send, etc. I advice you to download and install an shortcut apps to settings. Than pin these apps on your Windows Phone Start screen. You will realize that it will be easier for you to turn off and turn on connectivity features of your phone and use your phone for longer hours. If you have a Nokia Lumia Windows Phone 8 smartphone like Lumia 920, or others, you will admit the Nokia apps like Nokia Drive+ Beta are providing great experience for phone owners. Nokia Drive is a greate navigation assistant with updated maps and sound commands. Microsoft provides a list of services for Windows Phone owners at windowsphone.com. These free services enables you to manage your contact on a web portal, manage installed apps on the same portal, uninstall and reinstall these apps using a dashboard. Find My Phone is a one of best Windows Phone features introduced by Microsoft available for all Windows Phone 8 devices. Go to http://www.windowsphone.com/ and set up your account to enable "Find My Phone" Microsoft offers to find your phone when you lost your phone. You can ring your phone using the web portal, lock your phone, etc. 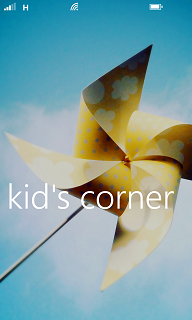 Kid's Corner and My Family enables parents to control the apps purchased and installed by kids. Parent can decide the game ratings that their kids can buy apps from Windows Phone Store. As you see the list of Windows Phone 8 features are still continue... Please check for a more detailed list of Windows Phone 8 features and new enhancements, please refer to Windows Phone portal.